FireCrunch is a NATA /CSIRO /BCA fire tested building board to AS 1530.4-2014 FRL 90/90/90 and FRL120/120/120. When certifying certain jobs, it is important to understand the key characteristics of which products are required for which type of application. Fireproof plasterboard does not really exist and certainly not in 10mm thick sheets. It has not altered much in the past 60 years. Plasterboard is a weak, non-water-resistant product which fails immediately in prolonged submersion in water and flooding, causing home owners’ extensive distress in clean up. Additionally, there is the expensive entire replacement of plasterboard materials which will eventually collapse again in the next flood, if replaced with that material. When it comes to fire, whether it is free standing residential homes or high rise residential commercial and industrial buildings, to date,so called fire resistant plasterboard and fire proof plasterboard building boards have been the only choice. All these products are not at all environmentally friendly using millions of Oxygen producing trees each year to produce the paper lined plasterboard. They contribute approximately 95% more Carbon Dioxide (Co2) emissions during the manufacturing process than FireCrunch Magnesium Oxide (MgSO4) Oxysulphate building boards with higher composite strength 1.15g/m3. This is a double whammy hit as they then cut down millions of Oxygen producing co2 absorbing trees , plus doubling the negative impact effect by destroying the trees that absorb Co2. Whilst an environmentally friendly building material with low Co2 emissions may not be a top priority yet in all construction, FireCrunch is virtually a carbon neutral product which provides that now. FireCrunch has continued to differentiate, by leading the fire protection industry in quality and specification requirements. FireCrunch has been extensively tested and has demonstrated its superior capability in low Co2 low carbon emission, eco-friendly building materials, plus in the areas of strength, acoustics, fire and water resistant building , termite resistance damage and NATA certified non asbestos content tested and non metal corrosive Chloride content (MgChl2) to ensure reliability and safety. With a fire resistance level (FRL) of up to 90/90/90 with 1 x 10mm sheet per side and higher to FRL 120/120 /120, more with only two sheets per side and temperature resistance of up to 1200°C, the FireCrunch building board is the industry choice leader in lightweight construction. 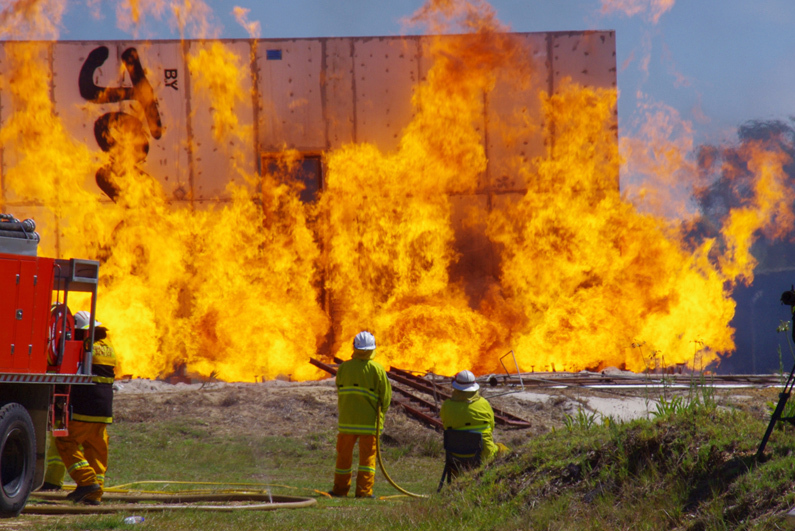 Fire Tested by the CSIRO and NATA accreditation for Asbestos free building boards ensure that buildings are above and beyond the necessary requirements. It also protects our customers against potential threats and damage whether it is caused by fire, water, impact, termites, bacteria, mould or mildew.